Di recente ho visto due lavori dedicati alle fiere agricole americane: Till the Cows Come Home: County Fair Portraits di Dan Nelken e Corn dogs, Blue Ribbons and the American Pastoral di Meg Birnbaum. I due lavori condividono lo stesso amore per un mondo che sta scomparendo, e compongono una sorta di elegia per il lavoro agricolo di tipo familiare. Sono immagini fatte di quei suoni e odori che restano dentro dall'infanzia, il pelo degli animali, il sapore dei dolci, il fieno in terra. 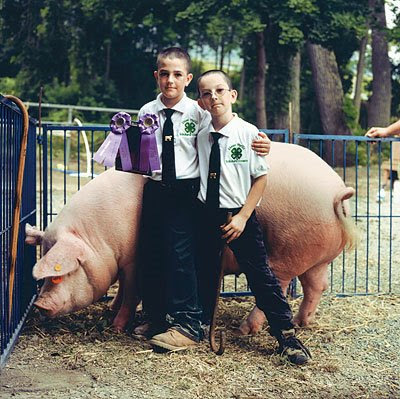 I recently saw two projects both dedicated to the world of American county fairs: Till the Cows Come Home: County Fair Portraits by Dan Nelken, and Corn dogs, Blue Ribbons and the American Pastoral by Meg Birnbaum. 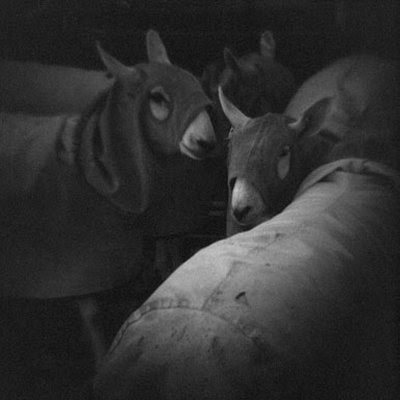 The two works share the same love and tenderness for a disappearing world, they stand together as an elegy for the family-based farming. Their images are made of those sounds and smells you'll never forget once you felt them as a kid, the hair of animals, the taste of sweets, the straw on the ground. Bellissimo il lavoro di Nelken! Grazie per il post.